The nature in Utsjoki is truly unique and diverse. The Teno river valley is lush and covered with mountain birches while the fell highlands are almost barren of trees and vegetation. The seasons truly transform the nature. 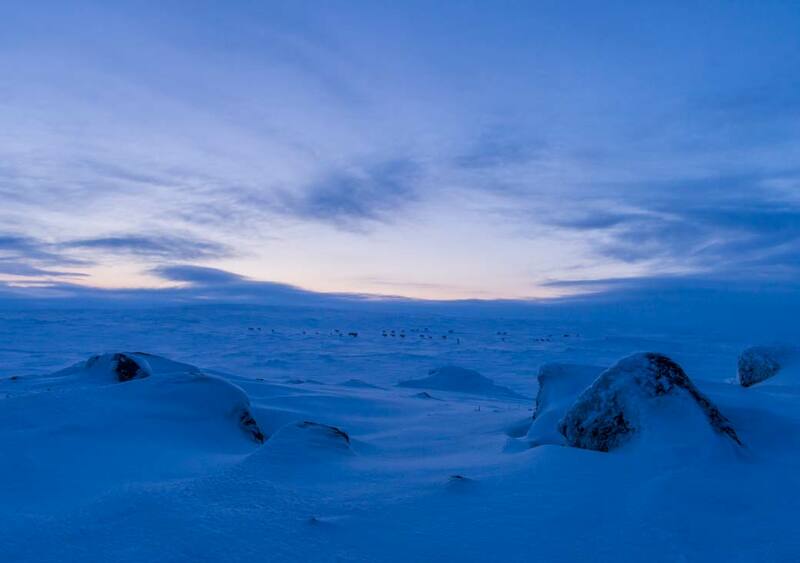 During winter, the polar darkness and the freezing temperatures make the region feel like an arctic desert, with temperatures dropping close to -40 degrees Celsius. On the other hand, summer and the nightless night make the nature come alive and you can almost feel the nature flourishing. In the summer, the temperature can rise to well over +20 degrees Celsius. The purity of the nature in Utsjoki sets its own standard. The nature areas are nearly untouched and pristine. Utsjoki has no large-scale industry, such as mining or power plants. The water is clean almost everywhere and suitable for drinking. Uou can pick berries and mushrooms without having to worry about their purity. 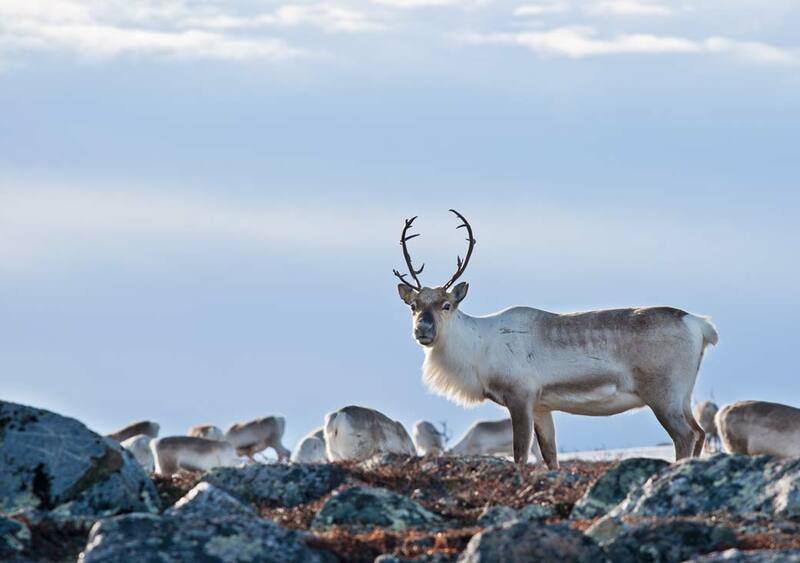 Typical Utsjoki fauna includes reindeer, willow grouse, moose and various small mammals such as lemmings. There are predators, too, including bears, lynxes, wolverines and the golden and sea eagles. However, one rarely spots these animals in the nature, so the wilderness is a fairly safe place to walk about. There are two major wilderness areas, Paistunturi and Kaldoaivi, in the Utsjoki municipality. The two areas are separated by the Utsjoki valley and together they make up most of the surface area of Utsjoki. The areas mainly consist of fell highlands, which are considered important locations for practicing traditional Sámi culture professions. The highlands are used for reindeer husbandry and hunting willow grouse, for example. 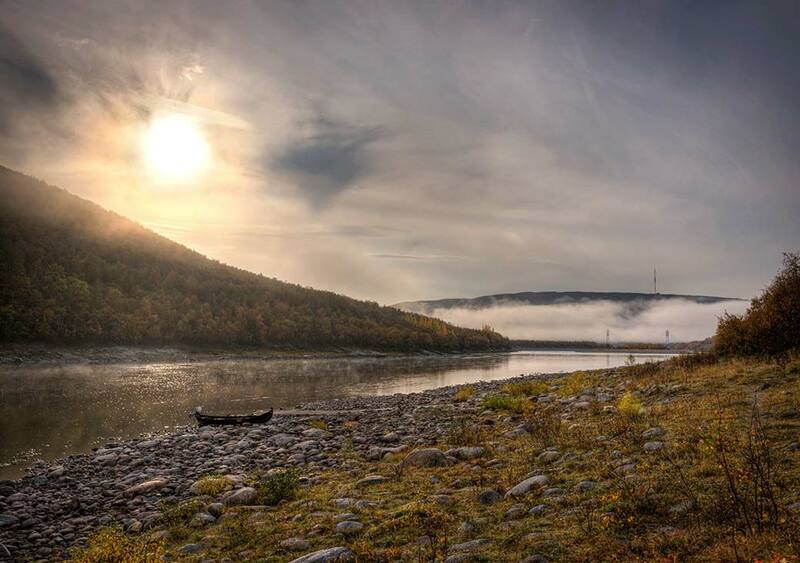 In addition to the vast wilderness areas, Utsjoki features the Kevo Nature Reserve, located in the Paistunturi wilderness. The reserve’s purpose is to protect the Kevo canyon and the surrounding fell nature. Utsjoki also hosts river Teno, the largest and most significant salmon river in Europe. The river runs 250 kilometres long and it is connected to several smaller feeder rivers. The largest of these rivers are Inarijoki and Karasjoki. Teno also marks the national border between Norway and Finland for nearly its entire length. In Nuorgam, the northernmost village in Finland, the river runs fully on the Norwegian side of the border. The river Teno is known as a great place for a nice salmon catch, and a single salmon may weigh up to 30 kilograms. There are even rumours about a 32-kilo monster going around! The river Teno has always been important for the locals. Before roads were built, the river was used as a passageway. During summer, people used boats, and when the river was frozen, an ice road was built. At one time, even post was delivered via the river. Today, Teno is extremely important as a travel destination. Fishing expeditions along the river started in the early 1800s when English lords made their way to Teno via the Arctic Ocean. However, the English fishing tourism slowed down significantly in the early 1900s when the locals started using fishing nets and dragnets to an extensive degree. As a result, there was a lot less fish to catch. Starting from the 1950s, the number of domestic fishing tourists has been on a clear rise, due to improvements in the road network and the lack of catch from other Finnish salmon rivers. However, in the 2010s, the number of domestic fishing tourists has been going down due to the low amounts of fish caught in recent years. The flaming Aurora Borealis may sometimes entertain us with their playful dance long into the night, while at other times, this mystical natural phenomenon may disappear in a blink of an eye. Before being scientifically explained, this beautiful natural phenomenon induced many mystical beliefs. The Sámi people, in particular, had many beliefs about the Northern Lights. 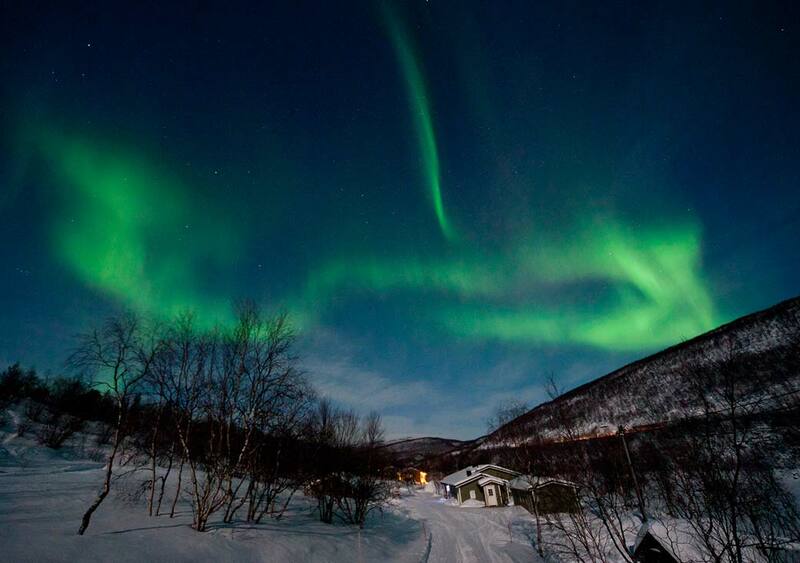 In Utsjoki, it is very probable to see the Northern Lights. As we get hardly any light pollution at all, the Aurora are visible almost everywhere in the Utsjoki area. The lights are visible when the sky is clear, so if it is snowing hard, you probably won’t be able to catch them. However, the weather changes fast, so always stay prepared! To take photos of the Northern Lights, you will need a good camera and a tripod. A mediocre camera may record the Northern Lights as well, but the quality of the photo may be less than optimal. Contact us for more information and advice. If you take part in our Northern Lights activities, we will help you with your camera to the best of our knowledge.